With the end of monsoons, when the fluffy clouds fill the firmament, autumn heralds the coming of the festive season of the year. 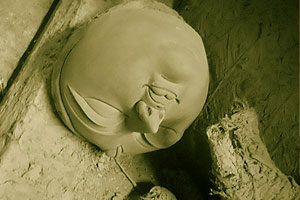 Durga Puja, the biggest festival of the Bengalis for which one awaits eagerly through out the year is celebrated now. Kolkata sheds of f its pale looks and dons up the look of celebration. 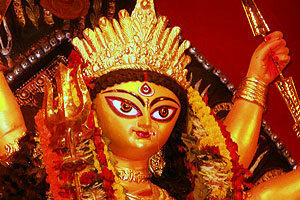 Durga Puja is Bengal’s largest social and religious festival spanning for 5 days during autumn. The grandeur of the celebration is felt is every nook and corner of Kolkata and people from all communities participating in it, makes it a grand cultural milieu. Pandal hopping, wearing new clothes, thronging to food joints and catching up with old friends in Bengali’s quintessential adda are some major concerns during Puja. Sharadiya attempts to relive those moments of Puja through the lens. The website amalgamates the tradition and contemporary theme of today’s and yester years Pujas and takes you through a nostalgic ride of Durga Puja in Kolkata. The festive mood is set by the auspicious Chandi Paath (Chants to announce the coming of Durga) accompanied by the Agomoni Gaan (Songs to welcome and greet Maa Durga), which are played on the dawn of Mahalaya (The Grand Welcome of Maa Durga). Five days later Maa Durga reaches her paternal home and is welcomed by the Dhakis (the drummers). The sound of Dhaak(drum) is like the most melodious yet exciting music for all Bengalis. Mahasashti (6th Day)- the first day of the festival is begun with welcome mantras and shlokas (chants) while people continue with their visit and paying their respects throughout the next 3 days referred to as Mahasaptami (7th Day), Mahashtami (8th Day) and Mahanavami (9th Day). At the end of these enjoyable and joyful 4 days, Maa is bid farewell to on the last day, referred to as Dashami or Vijaya Dashami (the 10th Day). A festival of this magnanimity is a treat for not just Bengalis but also people from all corners of India. It is a reason to go shopping with family and friends, a reason to go on tours & vacations with your near and dear ones, it is a reason to sit for hours with friends and continue our much enjoyed ‘adda’ sessions. 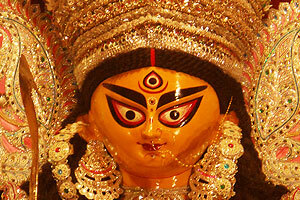 Durga Puja is the time for new dresses, delicious food, new music releases and Puja Barshiki or Special Puja issue. The books released during the festive season have become an indispensable part of our lives. Children, the young and the old are all fond of these magazines. Eminent publishing houses come out with special editions with numerous exciting stories. Puja Barshiki has interesting articles, novels and short stories from well-known authors. 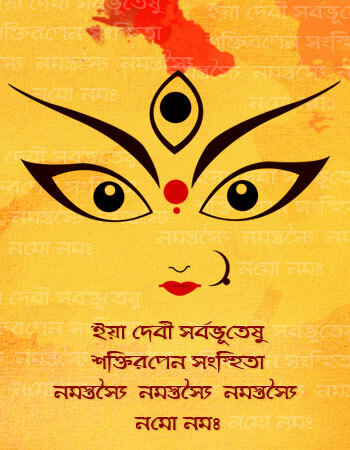 Durga Puja provides a reason to celebrate life, power, joy and love as a whole.